John Daniel Singleton was born on January 6, 1968 in South Central Los Angeles. While studying film at USC, he won three writing awards from the university, and was signed by Creative Artists Agency. He made his debut with the 1991 Columbia Picture Boyz N the Hood, whose widespread acclaim at the Cannes Film Festival that year extended to American audiences and critics that summer. Boyz was remembered by the Academy of Motion Picture Arts and Sciences the following February, when Singleton garnered two Oscar nominations: one for Best Original Screenplay and the other for Best Director--becoming the first African-American and the youngest person to be nominated for the latter honor. Since Boyz, Singleton's next two efforts were Poetic Justice (1993), which was nominated for an Academy Award for Best Original Song ("Again"); and Higher Learning (1995). Both were not nearly as well-received by critics as Boyz, but they were profitable for their studio, Columbia, even if their final box office grosses did not approach that of Boyz. Critical acclaim returned with his next film, the 1997 Warner Bros. release Rosewood, but, ironically, the moviegoing audience that made Singleton's previous efforts popular successes failed to turn out for that film. Those viewers did return, however, for the summer 2000 hit Shaft, a revival of the '70s Blaxploitation icon, for Paramount Pictures. Between the releases of Boyz and Justice, Singleton helmed the Michael Jackson music video "Remember the Time" in 1992. Singleton returned to South Central Los Angeles ten years after Boyz with 2001's Baby Boy, from Columbia Pictures. While not an overwhelming box office success, the film garnered Singleton his best reviews since Boyz. He followed that heavy drama with a far different project in 2 Fast 2 Furious, the sequel to the 2001 sleeper hit The Fast and the Furious. Starring Paul Walker and Tyrese, the film was released by Universal Pictures on June 6, 2003 and went on to become a worldwide box office blockbuster. His latest project is the gritty crime drama Four Brothers, starring Mark Wahlberg, Tyrese Gibson, André Benjamin, and Garrett Hedlund; the Paramount Picture was released on August 12, 2005. In addition to his own directorial projects, Singleton has developed other projects through his production company, New Deal Entertainment. He served as executive producer on the Daisy V.S. Mayer-directed comedy Woo (1998), starring Jada Pinkett Smith and Tommy Davidson. New Deal's first independent producing effort, Hustle & Flow, written and directed by Brewer's following film, Black Snake Moan, starring Samuel L. Jackson and Christina Ricci; Paramount Vantage released the film on March 6, 2007. 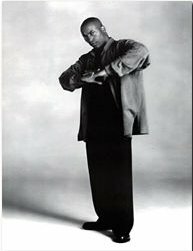 Singleton has also appeared in front of the camera, appearing briefly as a mailman in Boyz, a prison guard in Shaft, a bootleg video vendor in Baby Boy, a fireman in John Landis' Beverly Hills Cop III (1994), and radio DJ "Detroit J" in Mario Van Peebles's Gettin' the Man's Foot Outta Your Baadasssss! (2003). Singleton received a star on the Hollywood Walk of Fame in front of Grauman's Chinese Theatre on August 26, 2003.